Some things in life evoke feeling. They make you happy when you look at them. And they warm and nurture you. For me, homemade soup is one of these things, especially when it’s made lovingly with homegrown veggies! 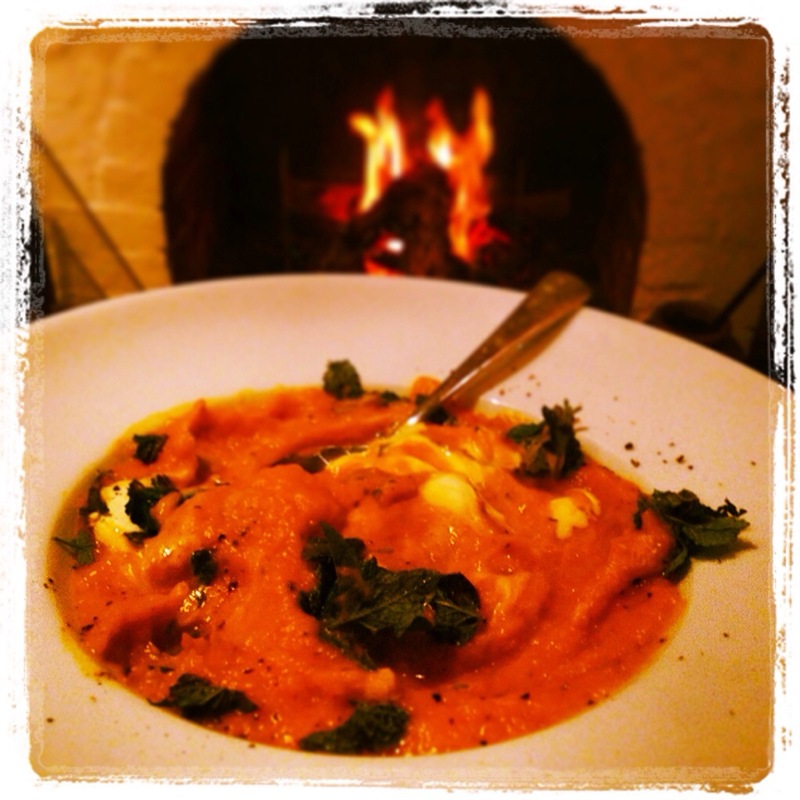 Hubby was chief chef this evening, and his pumpkin soup, made with our beautiful produce, has hit the spot! Topped with homegrown mint from the herb garden, I’m feeling happy and warm and nurtured!